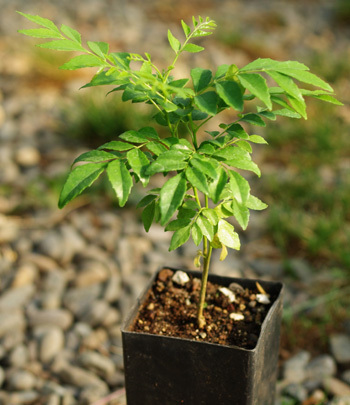 (Black Neem, Sweet Neem) Tropical to sub-tropical deciduous tree to 18 feet, native to Southern India. The pinnate leaves are handsome, as are the small, white, fragrant flowers that give way to clusters of black berries. 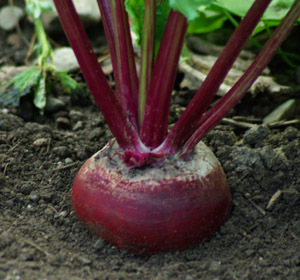 This short-lived seed is delivered as soon as it is ripe and should be planted immediately upon receipt. We partially dehydrate the berries and ship that way, then to plant you squeeze the seeds out of the berry and plant immediately in warm, fast-draining mix, in the light. Water only when surface becomes completely dry. Germ. in 10 to 20 days.The plant must be protected from frost, and is a reasonable choice for outdoor cultivation in Southern California, the Gulf Coast, Florida and of course Hawaii and other tropical places. Otherwise, it does well as a container plant, kept indoors during the cold months. Note: Curry leaf seeds have no testa (seed coat) and are very short-lived and liable to damage once removed from the fruit. 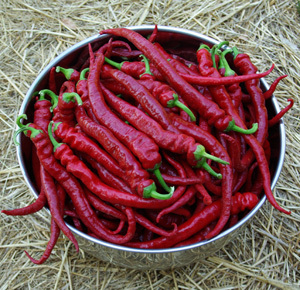 Therefore, we have learned to ship these seeds in this manner: The ripe berries are picked from the tree and allowed to shrivel slightly, kept out at room temperature for one or two weeks. Once the berry shrivels, we can squeeze it gently to confirm presence of one or two seeds inside. We ship shriveled berries only. Upon receipt, remove the berries from the packet and squeeze each berry. The seed will slip out easily. 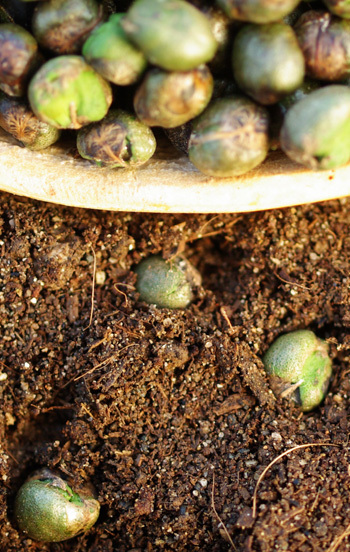 Allow the seed to dry overnight and plant the next day, buried about 1/2 inch deep in fast-draining potting soil in a gallon pot, a deep flat or other suitable container. Tamp securely. Do not use paper towels or peat pots. 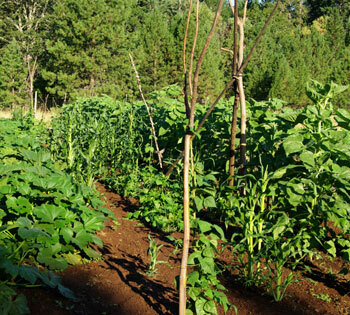 Keep the planting in a warm, bright place (a solar greenhouse is best) and the seed will germinate and grow. Germination takes 10 to 20 days. It is common to attain 100% germination on curry leaf tree seeds. No replacements or refunds on curry leaf tree seeds. Available inside the USA only. Hi, Can I be added to the wait list please? I need 10 seeds. By good grace the trees are making more and more berries. I will enable the packet. It may take a week or two for you to actually receive the fresh berries with the viable seeds inside. Directions are on the packet. Yes, I am okay waiting for the darker colored berries. I would like to buy 1 packet of 5 seeds if it’s available. This pages shows that it is out of stock and I’d like to order a packet if it’s available! I will e-mail you when a packet comes available, probably somewhere around 4/22/2019. There is one planter ahead of you. please update me at zone32@gmail.com as well. I love the aroma these leaves produce. 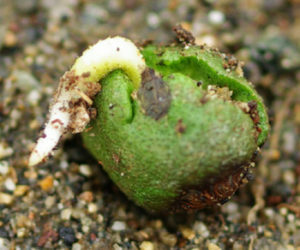 Fast germination of all seeds. I am looking for curry seeds and based on the above comments, it looks like you may have the ripe seeds ready. Can you let me know if they are available? Yes, I will e-mail you. I hesitate to get too far ahead on orders for this, and at this point (4/22/2019) I need to give the trees a little time to catch up. It is odd, I normally see one large flush of fruiting around December and then nothing, but this year the trees just keep flowering and fruiting. Do you currently have curry leaf seeds? 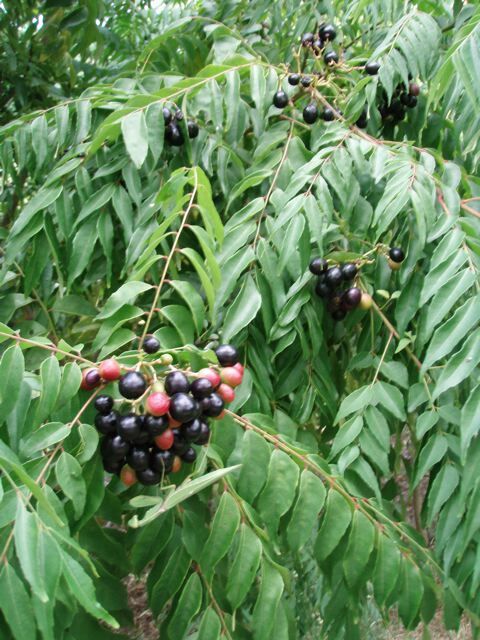 Is Murraya Koenigii the same as black or sweet neem? 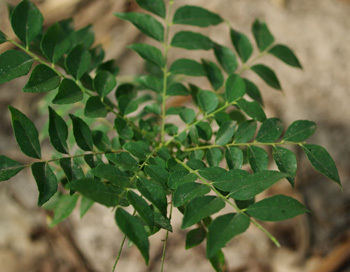 Murraya koenigii is curry leaf tree, sometimes called “black neem” although it has no relation to real neem (Azadirachta indica). Is this the curry leaf plant? The ones used in East Indian cuisine? Currently labeled as Out of Stock. Does this mean that all the seeds are already sold, or that you will post it as available soon as your plants are fruiting now? Thanks for staying in touch. I have a screen with about 30 berries that I just harvested. I’ll enable a few packets so you can get some. I would like get curry leaf seeds. 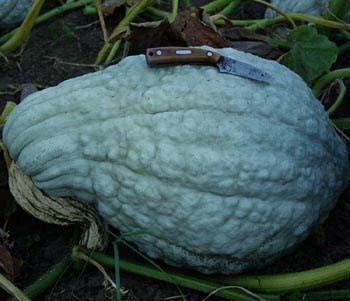 do you still have seeds available ? Yes, But limited production this time of year and if I enable a few packets they are likely to sell before you get this communication. Please call (541) 846-6704 to order. Hello, I would very much like to grow this plant from seed for my masalas. Do you have any berries/seeds available? I want to buy curry leaf seeds. Do you have seeds to sell? If you call (541) 846-6704, let them know richo OK’s purchase of one packet. I will prepare for you and send. Do you have curry leaf seeds? I want to buy one packet. Yes, the trees have been putting out ripe berries sporadically since last fall. I enabled one packet for you. Please hurry to order it before someone else does. Do you have any curry leaf seeds? I want to buy one packet. Hi Richo, Do you happen to have 10 berries right now? I have multiple family homes here and they would all like some. Thanks! Hi Richo, Would you have new berries I can buy? I want to buy 2 packets. If only one is ready I can get one now and the other later? Please let me know. Thank you! I was just out there checking the berries. It will be a week or so. Some nice ones are coming ripe. I’ll e-mail you.